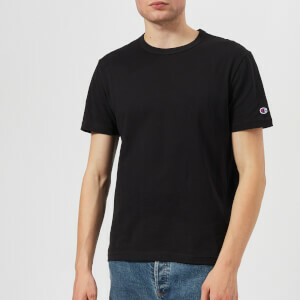 Made from pure cotton, the Champion 'Triple Logo' T-shirt channels a vintage aesthetic with its faded 'C' logo print and embroidered script logo across the chest. Designed with a ribbed crew neck, short sleeves and a straight hem. Finished with signature 'C' patch embroidered to the left sleeve.